We’ve all heard the stories about America. Supersized meals and loads of sugar seems to be what comes to mind for most people when they think of the American diet. But what’s it like at camp? What will you be eating this summer and how are you going to stay healthy if all there is to eat are carbs and processed foods? 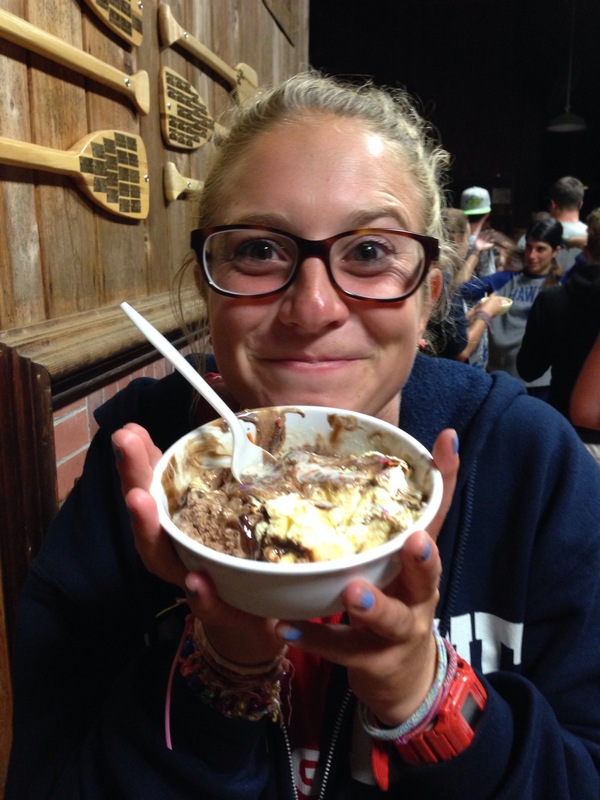 Well it’s not all bad – there’s some things I eat at camp that are possibly some of my all time favourite foods, and you have to remember that you’re going to be walking everywhere and running around more than you usually would, so it all balances out in the end. But it’s not just the food that can be a little unhealthy at times. You’re going to be living in close quarters with your fellow counselors and plenty of kids, making an ideal breeding ground for plenty of icky germs. You’re not going to be getting a lot of sleep, which can have a massive effect on your ability to fight off those germs, and really, when you’re looking after a bunch of rowdy kids, who has the time to exercise or visit the camp nurse? 1. Drink HEAPS of water. And I really mean a lot. Like, fill your water bottle about 6 times a day and carry it everywhere with you. Summer camp is a hot and busy place and it can be easy to forget to hydrate, so everytime you tell your kids to get some water, make sure you are drinking some too! 2. You don’t always need seconds. Like I mentioned above, sometimes the food at summer camp isn’t exactly what you’d eat at home and it’s usually quite high in sugar (which obviously means its delicious! ), so maybe cool it on that second or third helping of pizza just because you can get it, and go for some salad or fruit instead. 3. Get more sleep. I know, I know, this is a really tough one, because after a day of dealing with your campers, all you want to do is go to the staff lodge and hang out with your friends. But occasionally it’s a good idea to be a bit boring and just get that early night. You’ll really thank yourself for it in the morning when you wake up feeling refreshed and ready for action! 4. Do everything the kids do. If they’re playing soccer, join in and run around; if there’s a game of capture the flag going on, don’t stand on the sidelines… go get that flag; or if you’re a swimming teacher, make sure you’re actually swimming with your kids, not just shouting orders from the edge of the pool. It seems simple enough, but by getting involved you’re doing a whole heap of exercise without even realising. 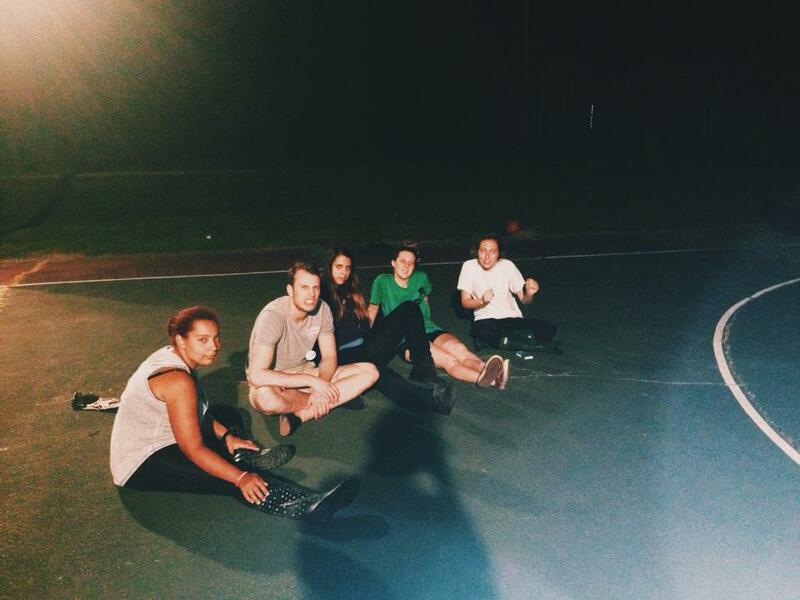 Does sitting on the basketball court count as exercise? 5. Admit when you feel ill… and go visit the camp nurse! It can be tough to accept when you feel rough, especially when you’re loving life and don’t want to let anyone down. But by trying to struggle through any sickness, you will probably make it worse and it will last longer. So go see the nurse and let them help you – they’re there as much for the counselors as they are for the campers!